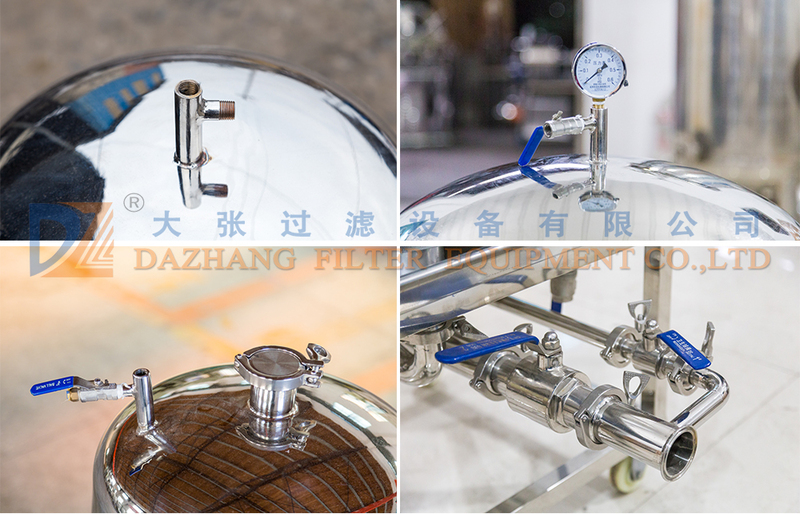 Stainless steel precise liquid filter is the latest developed laminated precise filter. 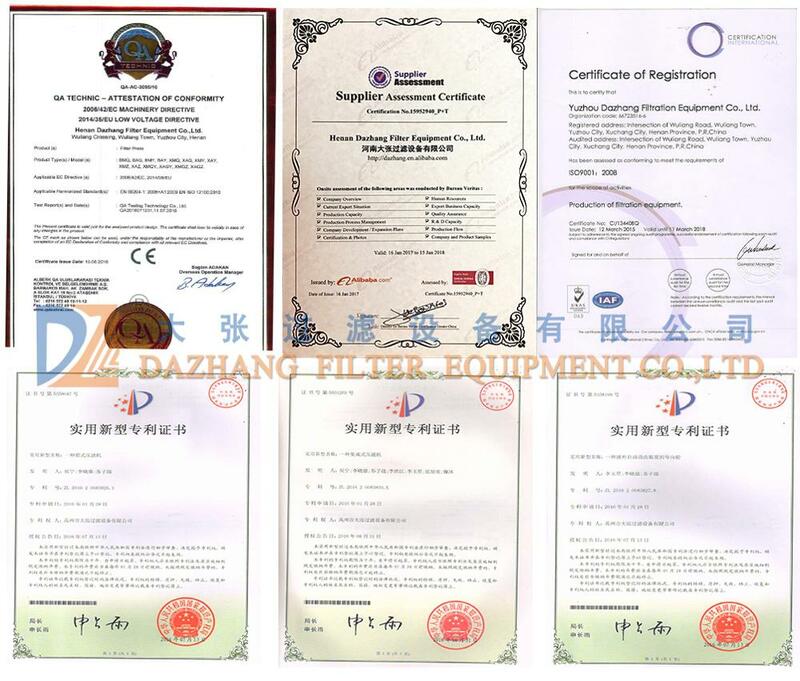 The filter is featured with large filter area and high efficiency, and widely be used in chemical, pharmacy, beer, mineral water, petroleum and other industries. 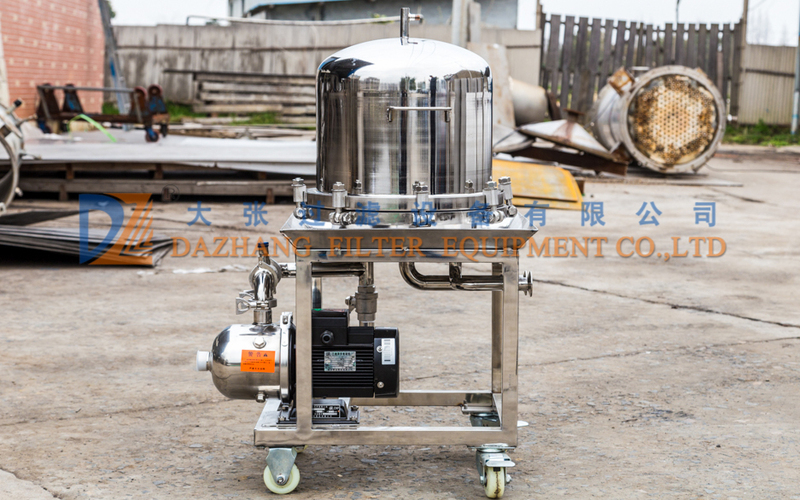 It is the new equipment to filter the tiny impurities for various liquid. The filter is made of SS304 and SS316L. 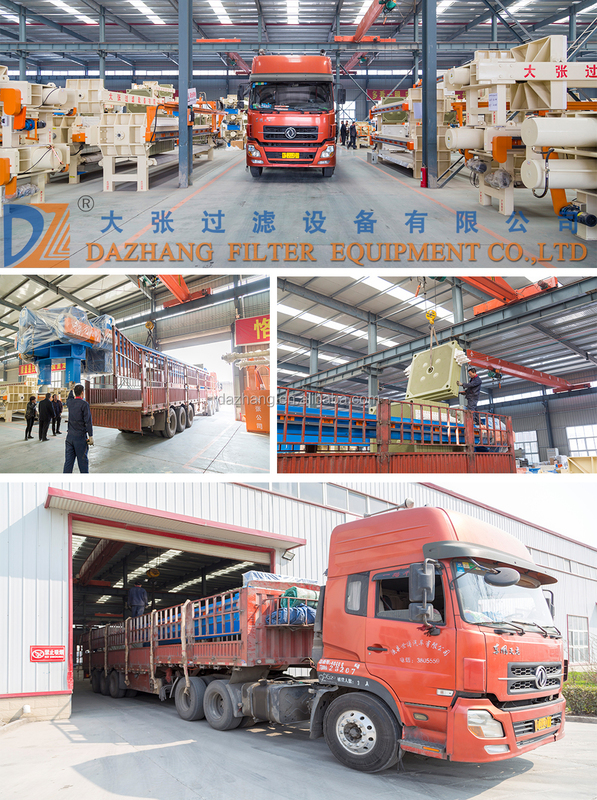 It is the multipurpose filtration equipment with stable performance, anti-corrosion, durable service, neoteric structure, easy operation, energy saving and high adaptation. A sealed chamber will be formed by the inner filtering device with the bottom. There are two inlets and one outlet going through the bottom and connecting with the inner chamber. 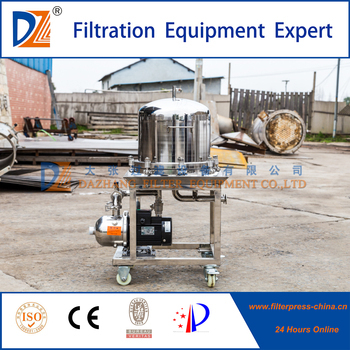 The filtering device includes severaly layers of filtering screens, and deivded the chamber into 2 chambers: original fluid chamber and the filtrate chamber. The inlets are connecting with the orginal fluid chamber, and the outlet is connecting with the filtrate chamber. The filter is featured with large filter area, high speed, large flow and high efficiency. The filter screens are laminated. 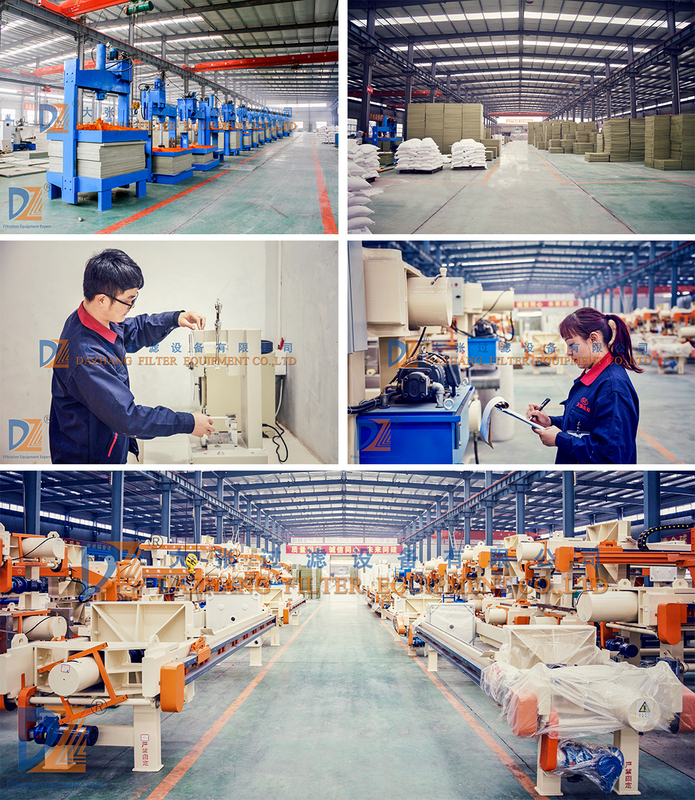 The customer can select the model according to the flow, and we could customize the filter for materials needs hear retaining. The feeding pump is flexible according to your demands. 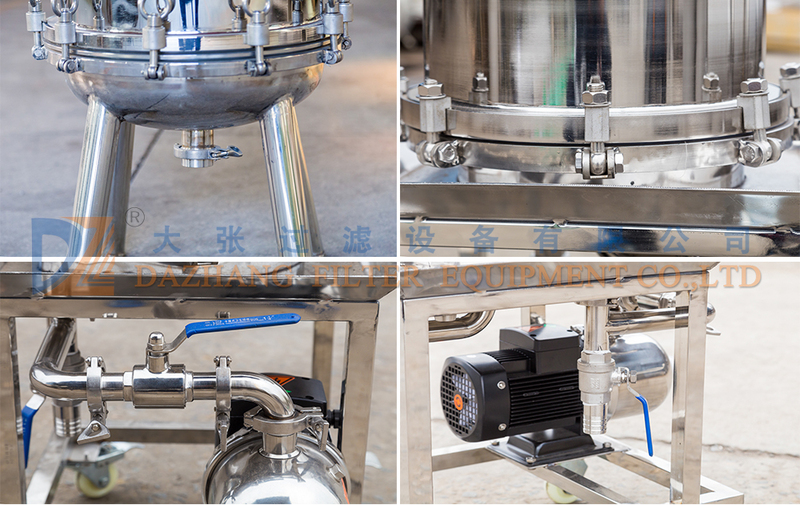 If the filter and the pump are installed on the moving platform, after cleaning it can be used for filtering other liquids, so one machine has different uses. 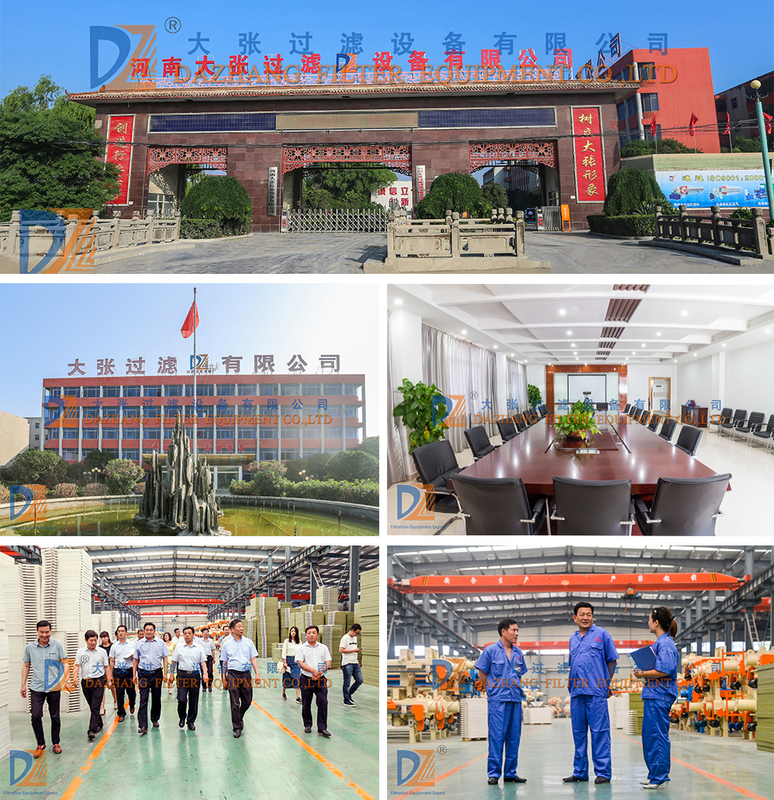 In some industries, such as: chemical, pharmacy, food, biochemical, environmental protection etc. some liquids might has high solid content, if frequent washing is needed, it must will influence the production cycle and efficiency, so we could extend the chamber volume to store more solid impurities to meet the actual needs. 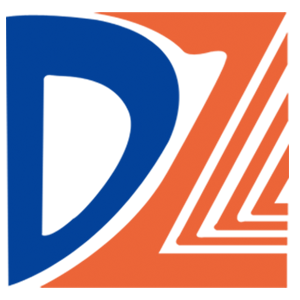 Additionally, according to the nature of material, the seal also can be customiszed. For example, for the organic solvent, we might use cladding rubber seals to avoid leakage and make sure the normal production.